When he's not busy with his job as co-founder of Wolfram Research, Theodore Gray makes a lot of incredible things. Sometimes they have to do with metal and fire. But fairly regularly, he uses a robot to make a quilt. And this is the quilt which rules them all. 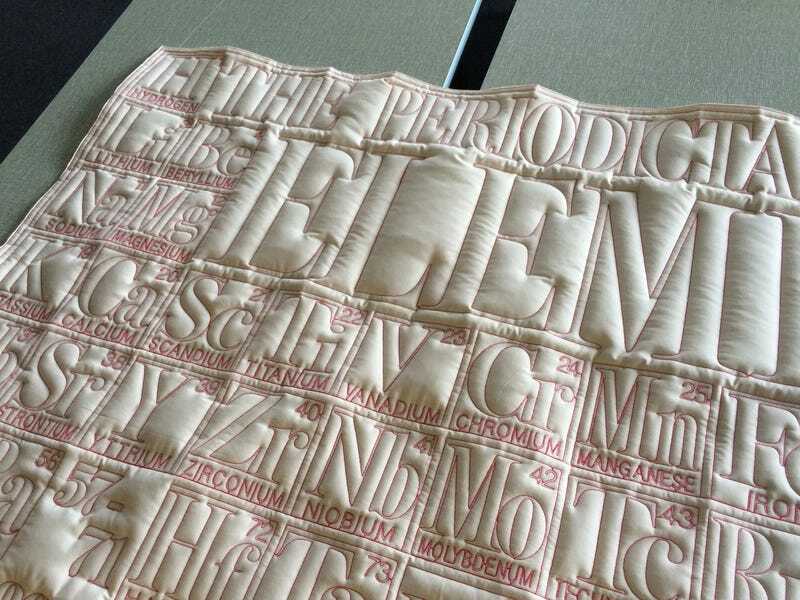 You can see more of Gray's amazing quilts, and find out how he made this, on his website.